Did it ever occur to you that you could be earning money for the work you did, over and over again? Month by month and day by day without working actively anymore. Probably, now you’re paid on an hourly basis having a non-passive income. ​Wouldn't it be interesting for you to generate passive income? This is what today’s article is about – passive income vs. non-passive income​. 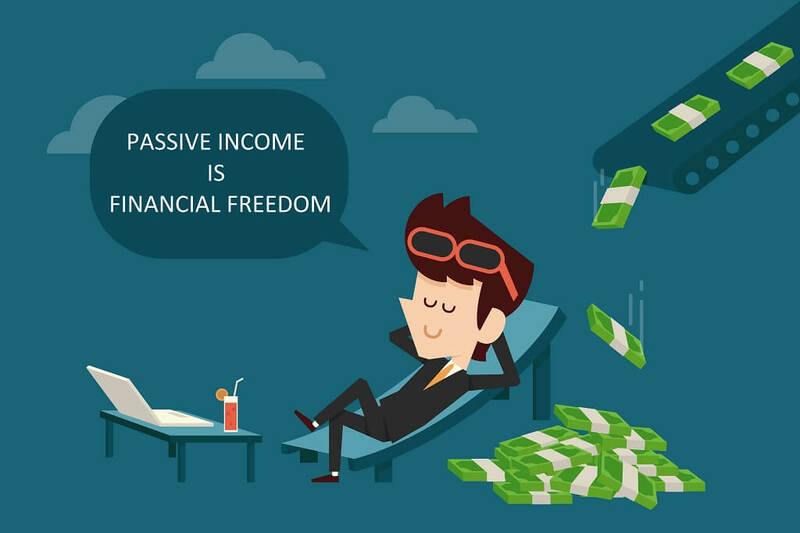 Passive vs. Non-Passive Income: What Is the Difference? You’re probably asking: is there a way in which I could have both passive and non-passive income? Well, the answer is yes, as long as you embrace the right approaches. However, before you can do that, you have to understand each concept. First of all, non-passive income is defined as the revenue you obtain for the work you get paid for by the hour. Also referred to as active income, it can be in the form of business income – comprising of the earnings from an investment or business in which you were actively involved. On the other hand, there is passive income, which stands for revenue you get without being actively involved. For instance, an example of passive income could be the money you obtain from a rental property. Simply put, you aren’t actively involved in the daily running of a business to get that sum of money. Perhaps the way in which you can accomplish generating passive income is by continuing to reinvest the income you acquire in other forms of passive income. This could be referred to as the snowball effect. As you focus more on generating passive income, you can maximize your earnings over the course of time. So, it is easy to understand the reason why so many people ask: what is passive and non-passive income. Moving on, what are some examples of passive income? As already mentioned, the most commonly met example is that of rental property. However, renting out a property might not necessarily qualify as 100 percent passive income activity. This is why there is an ongoing debate about whether land rental is a passive or non-passive activity. That’s also because there are some exceptions to the rule. To that end, if you’re a real estate professional, then the income generated through rental is regarded as active income – or non-passive income. On the other hand, if you’re self-renting, which means that you have your own space and that you’re renting it, it doesn’t count as passive income either, unless the agreement has been signed before 1988. Irrespective of this, the income obtained through leasing land doesn’t qualify as being passive income. Nevertheless, a landowner can take advantage of passive income rules, in the case in which the property notes a loss during the tax year. Additionally, when it comes to holding land for investment reasons, the earnings would be regarded as active. Considering that apps are taking all over our world, it comes as no surprise that more and more people are considering putting their creativity to good use with the creation of apps. This is an excellent example of passive income. Nonetheless, it all depends on the type of app we’re talking about – as some are more high-maintenance than others. So, we guess this is pretty relative. Another example of passive income is creating stock music. Over the last couple of years, amateur video creating has been developing a lot. In this view, if you have a talent for this, you should go for it; as the creation time isn’t that long and the revenue you can obtain from it is significant. Of course, there are plenty of other examples worth pointing out, but you get the picture. Considering the variety of ways in which you can obtain passive income, many people search reddit passive income to get some ideas on how to do that successfully. In fact, on the platform, there is a community of individuals that build passive income streams, which is another example of passive income. This is, perhaps, one of the most widespread misconceptions regarding passive versus non-passive income. ​Even if there are given definitions that widely restrict what could be passive or non-passive income, depending on your availability and type of involvement, you can choose from numerous alternatives. For example, investing in dividend stocks is a way of making a passive income that requires medium involvement from your behalf. Another option that could also fit into this category is renting out your apartment on Airbnb – an app that is growing in popularity by the day. ​Many people are unaware of the tax implications, as well as the potential benefits of this alternative. You can really take advantage of passive income by being fully aware of your tax liabilities. For the most part, when it comes to passive income tax, it is usually deducted on passive income. The US revenue department defines passive income as being all your earnings for which you don’t have to make any specific effort. We’re talking about income that follows its own course – this is the main distinction between passive vs. non-passive income. In regard to the tax specifications, it is more advantageous to focus on ways of producing passive income, as opposed to concentrating on generating non-passive income. ​Among the benefits that are linked with the passive income tax rate, flexibility and financial security are just as important. Of course, another great advantage is that you can actually plan an earlier retirement. As for the types of passive income sources, these include interest income, dividend income, capital gains, child support, and social security. On a different note, it would be safe to say that the taxation system can be quite complicated. This is why you should do some research in this respect to get your facts straight. First, you must have a clear perspective regarding the existing tax rate, as well as the return prospects for potential income channels, and your capability of generating income from passive income sources. Could We Say that Capital Gains Qualify as Passive Income? According to the Internal Revenue Service, passive income incorporates a range of specific revenue streams. Nonetheless, it isn’t applicable to treat capital gains as passive income. That’s because the IRS has a strict definition, which entails that only a given range of activities qualify as passive income. For example, investing in companies, while not necessarily being actively involved in the activity is also regarded as a passive activity that would eventually generate passive income. Considering that we cannot treat capital gains or losses as a passive activity, capital losses are primarily applied to capital gains. When it comes to the losses that apply to passive activities, these are usually limited to the passive activities you get involved in. By using the rent example, the passive losses would also incorporate the depreciation and other expenses that exceed the costs of rent. And even if, in most cases, rental income generates passive income, the sale of business property is regarded as the sale of a capital asset. Choosing passive income might be an excellent option for most people. It provides numerous benefits, such as flexibility, the possibility of maximizing your earnings, of diversifying your income and, of course, getting the chance to retire earlier. Nonetheless, in order to benefit from this, you must find the approach that works best for your given circumstances. You should make a decision concerning the amount of money you want to spend in this direction and the time and energy you have at your disposal. There’s no such thing as a one-size-fits-all kind of answer, which is why you should take things one step at a time. Alternative: While flipping items on eBay or Amazon is not passive at all, it generates at least a good income stream. Find out what the best items to flip are.